This week I’ve been preparing for the 7 hour drive ahead of us to get home for Thanksgiving. Each time we take this trip, I pack an arsenal of stuff to keep the kid occupied during the ride. But no matter what she has going on in the back seat, she still manages to ask me the dreaded question, “Are we there yet?” at least once an hour. Then she spends the next 5 minutes whining about how it is “going to take forever!” and blah, blah, blah. By the time we get to our destination, I’m ready to barricade myself in a room with a bottle of wine! 1. Put your largest activity in the box to decide where your dividers will be placed. 2. 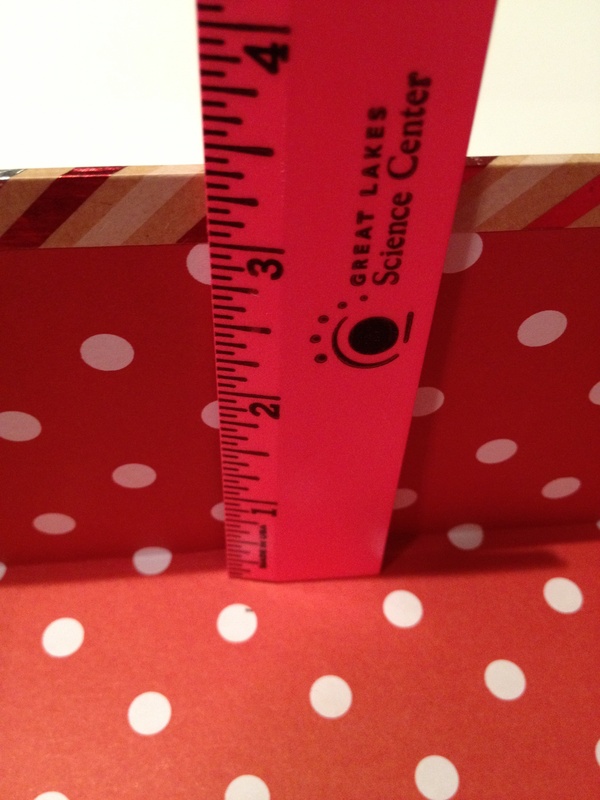 Measure the depth and the width of the box from inside. 3. 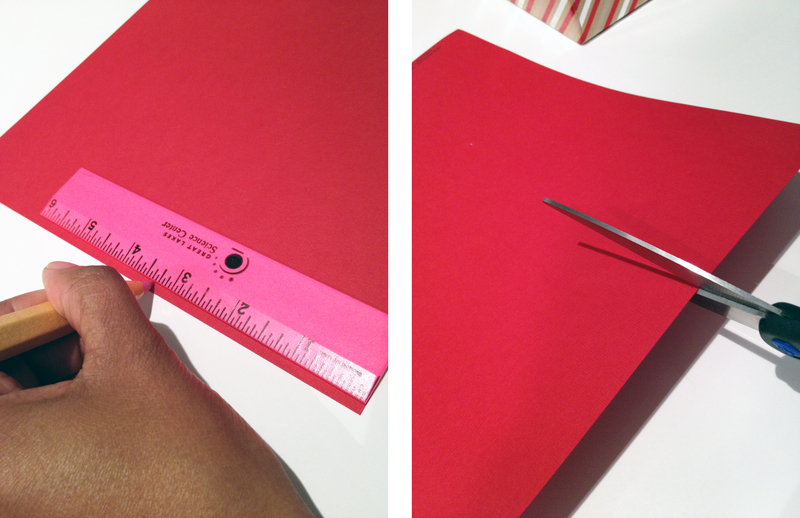 Cut the card stock according to the measurements of your box and how you would like your dividers to be placed. 4. 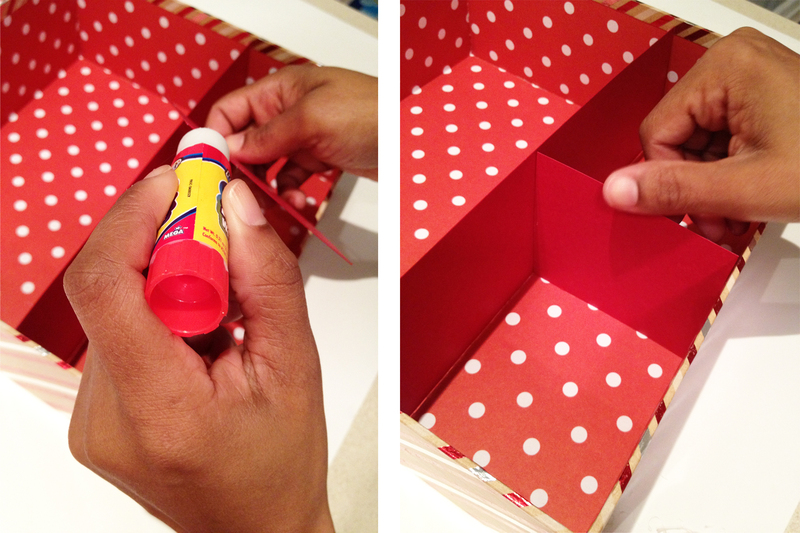 Glue the dividers into the box and let dry before inserting the activities. 5. Add a ribbon if you like. 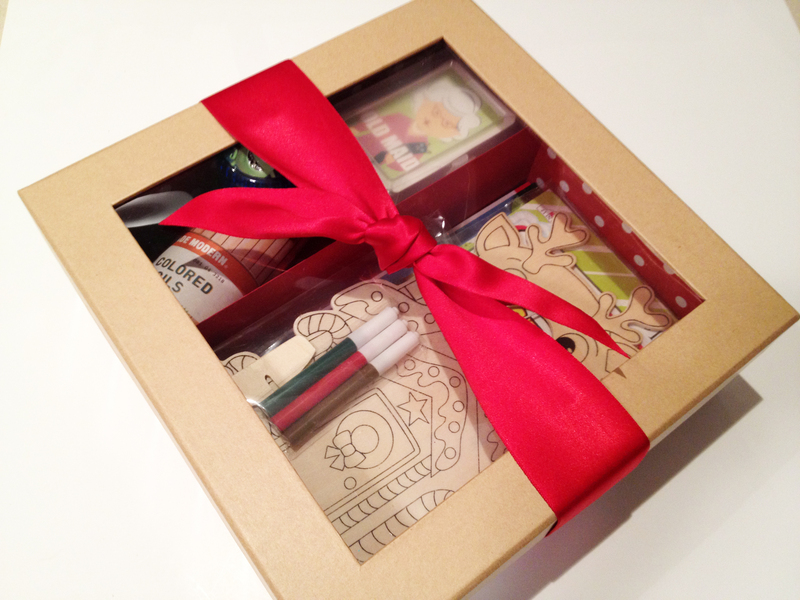 This box also makes a great gift for kids visiting your home this holiday season. What tips do you have for keeping kids occupied during a long car ride? 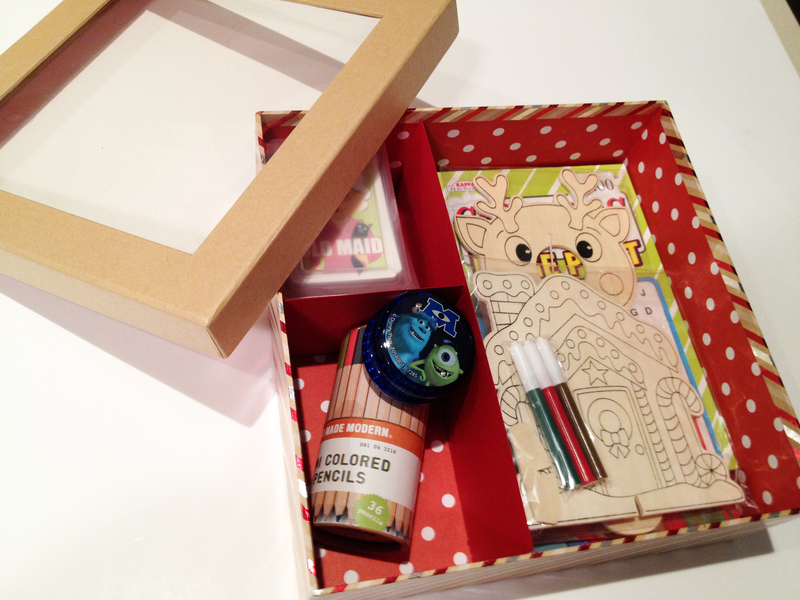 This entry was posted in Decorate, DIY, Entertain, Holiday, Organize, Parenting and tagged activities for kids, bento box, bento box of fun, children, DIY, do-it-yourself, family, fun, holidays, keep kids busy, keep kids busy during long car ride, kids, long car ride, Thanksgiving by Simone. Bookmark the permalink. That might have worked for El, Sach is much more active. The I Pad/games work for a bit. 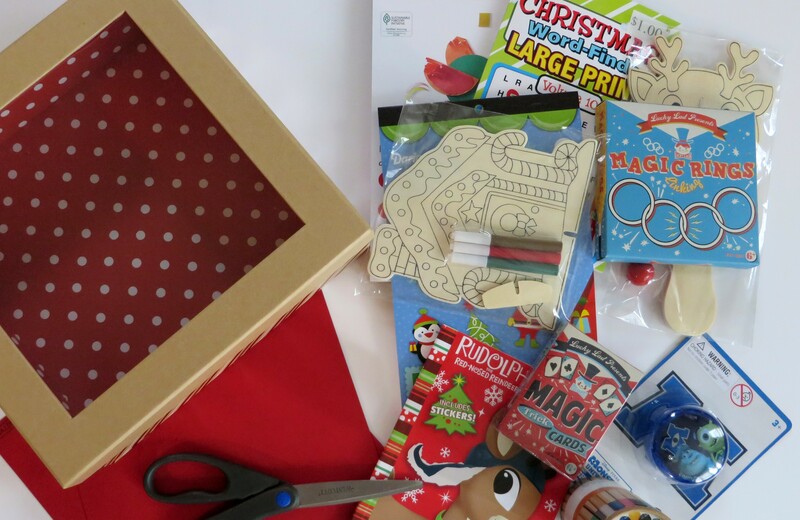 Love your activity box! The box seems sufficient activities. congratulation!